I feel like I’m always on the run. Both literally (training for a race) and figuratively — with my flex schedule, I’m typically dashing from one event to another during the day and into the evening sometimes, or heading out to meet friends for dinner or a workout. Which means I need to make sure I’m fueling my body well. I have had some days that I’ve scheduled so tightly so that I can get all of the meetings and events done back to back that I forget to include a meal. Doh! So I value healthy snacks as much as I do my meals. Besides helping prep me for my workouts and restore my energy after a sweat sesh, wholesome snacks help me get through the flights and long waits in airport lounges when I travel. PRANA is one brand that’s a mainstay in my kitchen. This Canadian brand’s products are certified organic, and they’re also all vegan, kosher, preservative-free and sulphate free. That’s not all, they’re also non-GMO, too. And they taste great. Do a blind taste test of say their almonds against some you buy in bulk, and I swear you won’t be able to go back. I try to have a small breakfast every day and a snack 30 minutes to an hour before I exercise (without a snack to give you a small boost, you could be low on energy and this could mean you’re won’t be able to workout to your full potential). 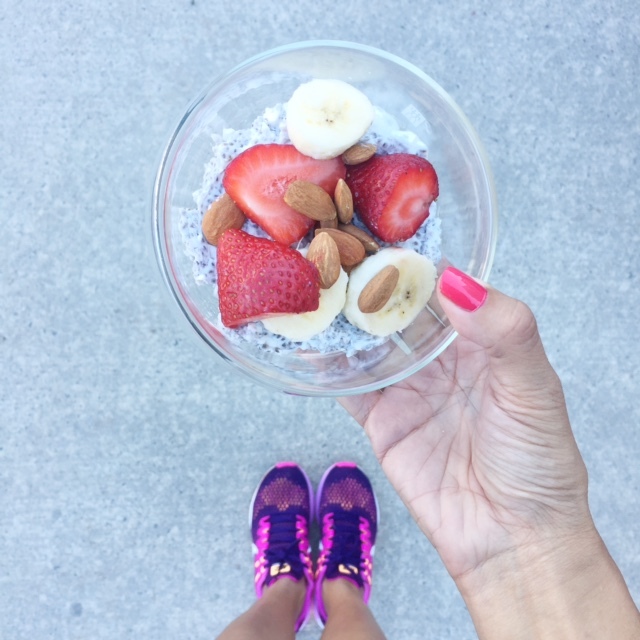 Greek yogurt is a usual go-to for me and I top it with PRANA raw almonds. I use their almonds when it comes to dessert, too — by adding a drizzle of honey to the yogurt and nuts, or by eating a few almonds with a piece of dark chocolate (I always seem to have a steady supply of plain dark chocolate at home, one of the perks of my job is a lot of chocolate!). 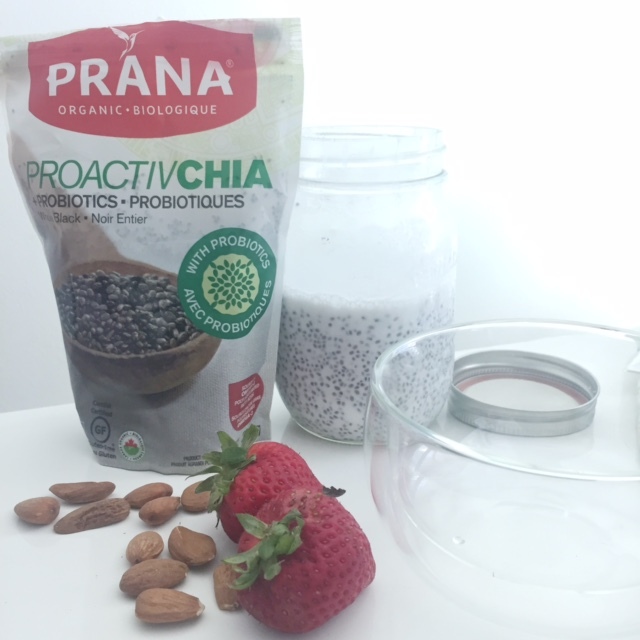 I also am unexpectedly a fan of chia pudding, which I make with PRANA ProactivChia. Unexpectedly because I can see how the texture is off-putting to some people, but when you top it with fresh fruit, some coconut chips, and yes, PRANA Almonds, the crunch and flavours make it less “slimy” (as one friend calls it). I find it’s a nice change from the Greek yogurt and I like incorporating probiotics into my diet when I can for a healthy gut. And I prefer PRANA ProactivChia because it’s not just chia seeds, but the brand’s exclusive blend of chia and probiotics. In fact, each serving of PRANA ProactivChia provides 4 billion live probiotics, which helps promote healthy gut flora (while the chia is a good source of fibre, omega-3s and calcium). 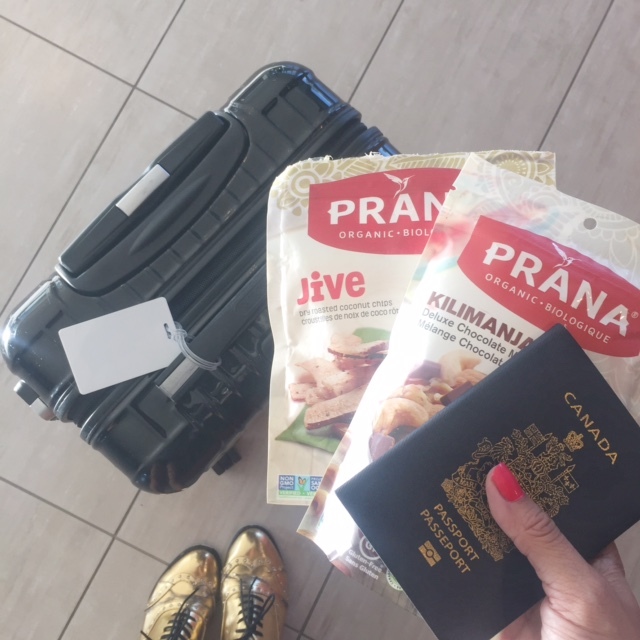 And because half of my life seems to be on a plane or waiting in an airport lounge, in my handbag, I keep something from PRANA to snack on, such as this Kilimanjaro Deluxe Chocolate Mix. Just a small handful, though; I have to remind myself to watch portion sizes when snacking on nuts and trail mix, because I could easily just keep eating and not realize I’m polishing off the package (in case, you’re wondering, a serving size of this Mix is a ¼ cup). Best of all, with its mix of almonds, walnuts, cashews, sultana raisins, dried cranberries and dark chocolate, I can feel good about my snack providing protein, antioxidants, fibre and vitamins A and C.
But since I tend to crave savoury snacks more often than sweet, I dig much more often into PRANA Coconut Chips, They’re dry roasted so they’re nice and crispy (so there’s that satisfying crunch I crave!) and I’m partial to Jive (the Spicy Chili flavour). So they’re good replacement for the potato chips I would eat daily if I could without hurting my health. 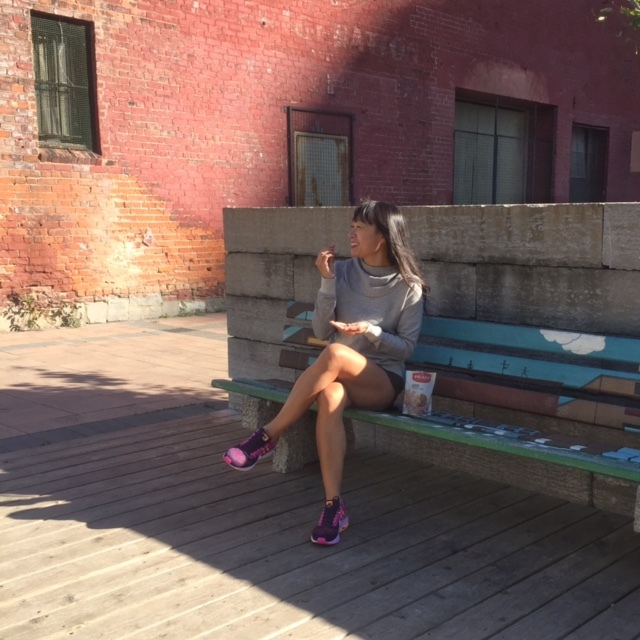 With a focus on healthy, wholesome snacks such as those from PRANA, I have the energy to make it through my active lifestyle feeling energized. And I haven’t even yet tried all of the products from the wide PRANA range (I’m definitely eyeing the PRANA Sumsuma sesame squares!). Oh, and for that chia pudding, it’s simple to make: just add three tablespoons of chia to one cup of liquid (I usually use coconut milk but I’ve also made it with almond milk; you can use the milk of your choice! ).